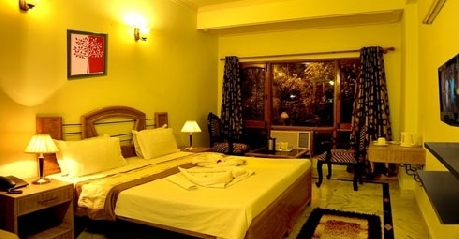 Green View Hotel is located next to the sacred Ganges and offers a memorable stay coupled with extensive services. The airport is 30 km away while the railway station is 35 km from the hotel. 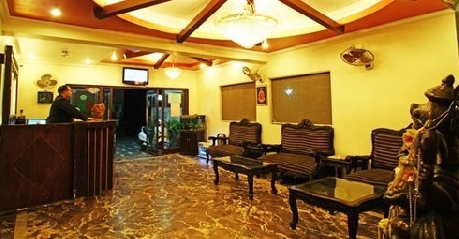 Tourist attractions like Lakshman Jhoola and Ram Jhoola are within walking distance from the hotel. The hotel offers yoga classes for those interested in united with their inner mind and opening all their senses to the joy and beauty all around. The Hotel also offers Ayurveda treatments to relieve your body of stress and leave it feeling refreshed and rejuvenated. 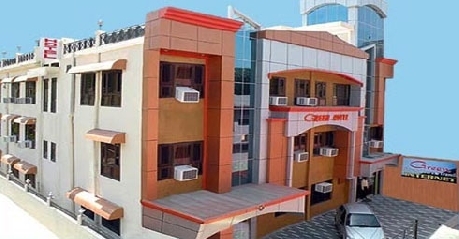 The hotel offers a variety of services that include parking on site, laundry service, doctor-on-call, Wi-Fi connectivity, currency exchange, postal services and courier services, room service, travel desk, car hire and power back-up. The hotel staff also organizes adventure sports and camps upon request. 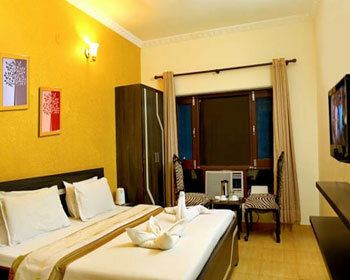 The hotel’s elegantly done rooms are categorized into Family Deluxe rooms, Super Deluxe Rooms and Deluxe rooms. The hotel’s in-house restaurant serves multi-cuisine. Air cooled rooms are spacious rooms inside the hotel. 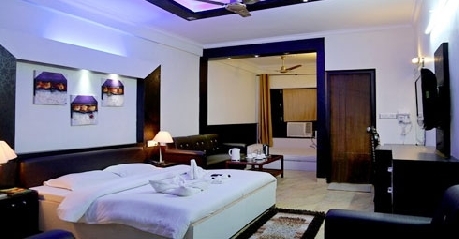 These rooms offer a modern décor along with nice furnishings to make the stay comfortable and nice. The amenities offered are tea/coffee maker, refrigerator, telephone and satellite T.V. the attached bathroom is spacious modern and supplied with running hot/cold water. 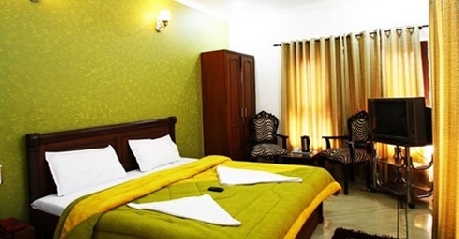 Deluxe Rooms come with AC facility and are quite comfortable and spacious to stay in. The room is nicely done in contemporary style with décor that is delightful and pleasing to the eyes. The in-room amenities offered are satellite T.V and telephone. The attached bathrooms are modern and supplied with running hot/cold water. The in-house restaurant serves Continental, Chinese and Indian cuisine. The multi-cuisine restaurant is air-conditioned and is a traditional style restaurant. The restaurant is better known as an Italian restaurant since it introduced the locals to Italian cuisine. The chef is talented and serves authentic cuisine prepared with the freshest the city has to offer.